The project was implemented by architect Irina Mayetnaya and Mikhail Golub. The 1,000 square feet apartment is located in Kiev, Ukraine. The apartment layout planning was limited by all windows facing one side of the building. 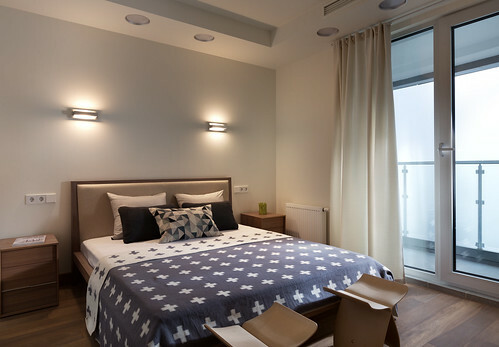 The goal was to create a modern and functional apartment for the young family with children. Photos courtesy of Andrey Avdeenko.